Trust us to address your passenger coach and touring van needs. Flambouyant Transportation Inc serves the residents, businesses, and industries of Laurel Hill, NC and surrounding areas. For over 25 years, our locally owned transportation business has been providing the area with safe and reliable transportation services. Contact us today and let us help turn your planned trip into a reality. Let us assist you with your commercial, organizational, or business trips and transportation needs. All our personnel are licensed and certified to assure you of quality performance. Our services are bonded and insured to secure our mutual safety. 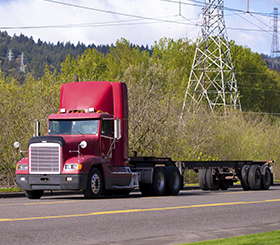 We are equipped to provide land transport for freights, used vehicles, and vehicle parts. Trust us to move you or your freights safely. Call us at 910-462-4225 and book a transport service with our specialists today. Feel free to ask us about any of your transportation and travel concerns. We are ready to assist you any way we can with your family and business travel concerns.